S-CLP0032 series - nominal flow rate 32 Nm³/h - thread G 1/4"
S-CLP0064 series - nominal flow rate 64 Nm³/h - thread G 3/8"
S-CLP0105 series - nominal flow rate 105 Nm³/h - thread G 1/2"
S-CLP0190 series - nominal flow rate 190 Nm³/h - thread G 3/4"
S-CLP0300 series - nominal flow rate 300 Nm³/h - thread G 1"
S-CLP0480 series - nominal flow rate 480 Nm³/h - thread G 1-1/4"
S-CLP0700 series - nominal flow rate 700 Nm³/h - thread G 1-1/2"
S-CLP1000 series - nominal flow rate 1000 Nm³/h - thread G 2"
S-CLP1200 series - nominal flow rate 1200 Nm³/h - thread G 2-1/2"
S-CLP1500 series - nominal flow rate 1500 Nm³/h - thread G 3"
Cabin air filters are becoming more common in automotive and heavy-duty on- and off-highway applications. These filters reduce the amount of airborne pollutants and particles entering the interior of a vehicle by capturing dust, pollen and other airborne contaminants. A Baldwin cabin air filter will protect passengers from airborne pollen, bacteria, dust and smog, reduce dust and dirt accumulation in the vehicle’s interior and increase air conditioning and heat output and performance. 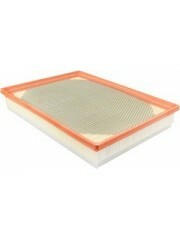 Baldwin cabin air filters are built to OE specifications to give you and your equipment the best protection available. Most cabin air filters are in a location that makes it moderately easy to access and replace. 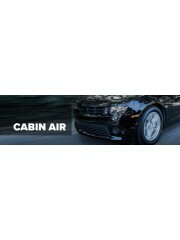 Cabin air filters are typically located under the hood, or behind or under the glove compartment. The cabin air filter should be changed every year or 12,000-15,000 miles. Baldwin automotive cabin air filters come with easy-to-use installation instructions. These step-by-step instructions tell you where to locate your cabin air filter and how to replace it. Specialising in filters for Plant, Agricultural, Truck, Marine and Mining, we hold thousands of filters in stock available for next day delivery. Filter kits available for almost any machine, through years of research and collating various information from customers machines we can supply the correct filter kit for your machine. With cross-referencing and filter applications to cover more than 40,000 machines and over 350,000 cross references to O.E and filter manufacturers part numbers. The items we supply are all of the highest quality supplied by some of the worlds leading brands within the filtration industry, including our own branded filters (RE Filters) each having suitable warranties in place on all their products to place your mind at rest. We offer a next day delivery service on a huge range of products. We even keep some of the rarest types of filters in stock including hydraulics for those need it yesterday moments. Account customers running fleets of machines have the benefit of bespoke filter consignment stocks, available nationally. Tired of trying to work out which filters are required for your machines, we can supply you with our comprehensive machinery application guides. © Copyright 2018, Rico Europe. All Rights Reserved.